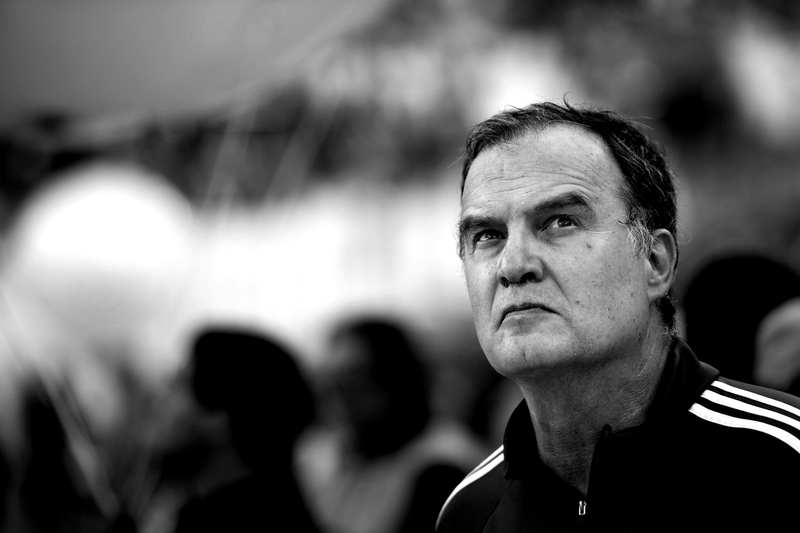 PRIOR TO THE 2002 WORLD CUP, Marcelo Bielsa found himself deciding who to play in the most advanced position of the field for Argentina. On one hand, an ageing Gabriel Batistuta had been Argentina’s leading striker for the past two finals. On the other, Hernán Crespo was taking huge steps towards his competitor by demolishing Serie A defences on a weekly basis. After all of the question marks, Bielsa opted for continuity, choosing Batistuta over Crespo. The former started all three matches for the national team in one of the shortest and most disappointing tournaments for La Albiceleste, managing to score the only goal that gave the sky blue nation three points against Nigeria. The only other scorer for Argentina in the competition was Crespo, who was able to put the ball in the back of the Swedish net after finding Ariel Ortega’s missed penalty rebound in the 88th minute. The most interesting fact of the tournament for the South American team was the one regarding the substitutions made by Bielsa during Argentina’s short spell in Asia. Crespo entered the first game in the 81st minute against a young and already beaten Nigeria. He did the same, but in the 60th minute, of the match against England that left Argentina in all kinds of trouble. Finally, he was put into action in the 58th minute of the game in which they faced Sweden for the chance to advance beyond the group stage. On each of those occasions, he replaced Batistuta. Argentina was about to say goodbye to its all-time leading goalscorer, and to salute its newest offensive reference, both at national and club level. The generational change had finally arrived. Being born in Buenos Aires and its surroundings doesn’t automatically make you a great football player, but chances are there for you to end up as one. 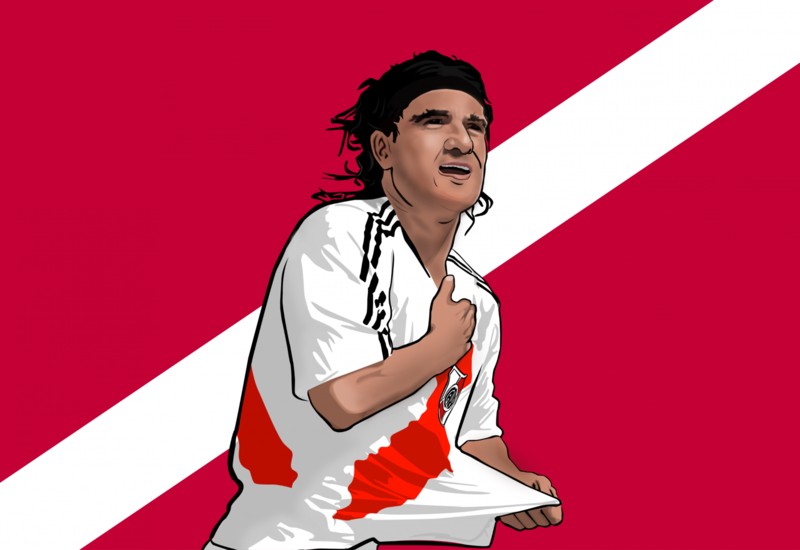 Hernán Jorge Crespo, from the barrio of Florida, wasn’t just another random boy kicking a ball in the streets of Reina del Plata; at the age of just 13, in 1988, he was already playing for River Plate’s youth teams while the professional club was fighting for the soon-to-be-deprecated Primera División in favour of the new Apertura and Clausura tournaments. It wasn’t until 1993, however, that the Florida native put on the first team jersey, thanks to Daniel Passarella’s call-up. River had finished second and third in the 1992-93 Apertura and Clausura tournaments, losing the former to bitter rivals Boca Juniors, thus needing fresh blood to reclaim a crown they were stripped off after conquering it a season before. Although Los Millonarios were able to win the 1993 Apertura, Crespo wasn’t the focal point of the team during their run. Things were flipped during the 1994 Clausura, as River had to settle for a disappointing fifth, while the club’s new striking hope was able to net 11 of the team’s 24 goals, tying Marcelo Espina as the top goal-scorer of the season. With a season and a title under his belt, Crespo was limited to a lesser role during the 1994 and 1995 national competitions due to the second coming of veteran and club legend Enzo Francescoli from Torino, whose 17 goals in 27 matches dwarfed Hernán’s four in 18. Little did the national competitions matter that season in comparison to the 1995-96 stage for Crespo, with the cusp of it leading to a Copa Libertadores crown. Crespo won the title for River after the Argentines had lost 1-0 in the first leg of the tie to Colombian side América de Cali. They came back in the second leg with Hernán scoring both goals in the 2-0 win that made River Plate champions of South America for the second time in club’s history. He ended as the tournament’s second-highest goalscorer with 10 strikes – only one behind Anthony de Ávila – and made a name for himself in River Plate’s history despite being only 21 at the time. Meanwhile, in Italy, giants Milan and Juventus were dominating Serie A year after year, having raised the Scudetto from 1991 to 1996 without much opposition. During that time, the Argentine national team hadn’t been able to replicate the triumphs of past World Cups, and was eliminated at USA 94 by Romania, who took advantage of a tricky situation after Diego Maradona was forced out of the competition due to a positive drug test. This moment in time would mark the end of Maradona’s international career, while handing Gabriel Batistuta the chance to become a legend. It was in 1991 that Gabriel Batistuta changed clubs for a third time. After playing one season for each of Newell’s, River and Boca, the Argentine striker found his home in Florence after Italian side Fiorentina signed him for €2.5 million, a surprisingly low figure considering his performances in the 1991 Copa América. He, along with the likes of Ruggeri, Caniggia and Leo Rodríguez, helped Argentina win six of the seven matches they played in the tournament, netting six goals and earning the top scorer award at the end of the event, edging out Chile’s Iván Zamorano. Batistuta arrived in Italy at the same time Diego Maradona abandoned it, going from Napoli to Sevilla after scoring 81 goals in 188 matches for the Partenopei. Given the stunning nature of Batistuta’s performances over his first five years playing for Fiorentina, with 109 goals in 173 matches, and the magnificent time Maradona had provided years before in Italy, it wasn’t a surprise that the new pretenders, Parma – notably the winners of the Coppa Italia in 1992 and the UEFA Cup in 1995 – were looking across the ocean to find the next Argentine gem who could help the team achieve their lofty goals. The summer of 1996 was full of changes for the Gialloblu, who first found themselves without a manager after the departure of Nevio Scala, having to give the rides of the squad to an inexperienced Carlo Ancelotti, who came with just a season of management under his belt after promoting Reggiana from Serie B to Italy’s top flight. This was only the first change of the summer as the Parmigiani also sold players of the calibre of Stoichkov, Couto, Asprilla and, maybe most surprisingly, the team’s most prolific scorer, Gianfranco Zola. It was only after the arrival of Ancelotti that the philosophy of Parma changed and they started to look towards building a young, hungry team. The Italian side made youngster Gianluigi Buffon their starting goalkeeper at just 18, signed Lilian Thuram, Enrico Chiesa and Zé Maria, who were all under 25, and gambled on the talents of the new Argentine wonder Hernán Crespo, who was coming to Italy with a tally of 36 goals in 84 matches in his native country and a chance to prove his value at the 1996 Atlanta Olympic Games. He delivered on all his promise during the Olympics. Crespo started all seven games Argentina played during the tournament, scoring six times and tying with Bebeto for the top scorer award. Despite his heroics, La Albiceleste came up short in the final after blowing a 2-1 lead over Nigeria – who were led by Okocha, Babangida, Amunike and Kanu – to finishing the competition as runners-up. Already dressed in the Crociati jersey, Crespo got off to a slow start in Italy. 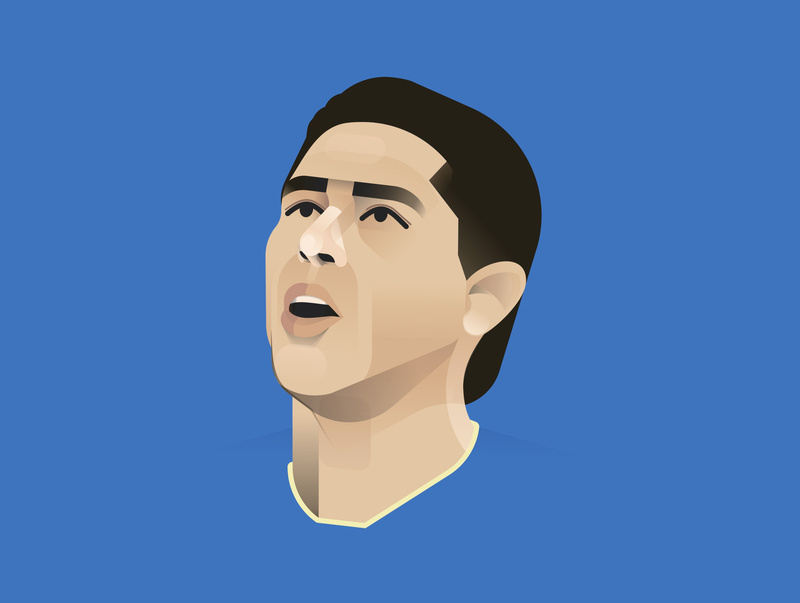 It wasn’t until 23 October, with Parma visiting Internazionale in week eight, that Hernán wrote his name into the golden pages of Serie A after scoring a thunderous volley while falling to the ground just two minutes into the game. It was at that moment that doubts started to cease and fans converted to Ancelotti’s philosophy of youthful, energetic football. At the end of the season, Crespo’s presence in the line-up ultimately paid off. A close run between Juventus and Parma for the Serie A title ended with the Bianconeri lifting the trophy after finishing just two points ahead of the Gialloblu in what remains their highest position ever. Had Ancelotti’s men beaten Juventus in May (they drew 1-1) with just two more games to play, they could have been the ones celebrating. 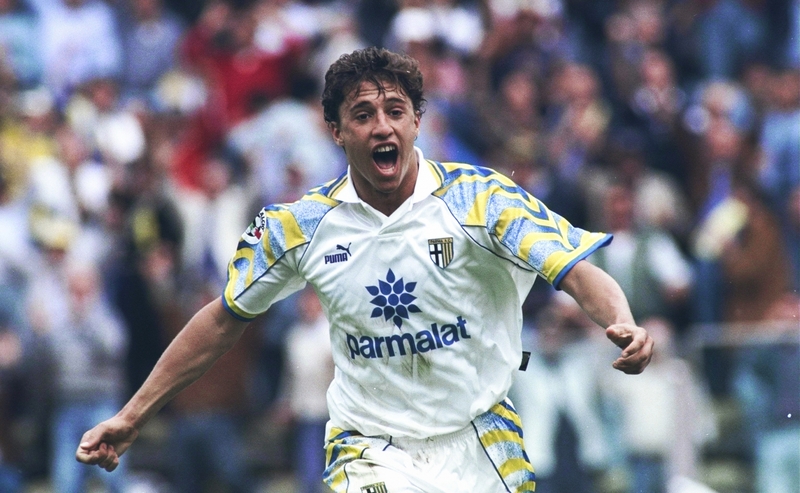 For Crespo, he closed the 1996-97 season, his first in Italy, with 12 goals in 27 games, just two shy of Parma’s leading marksman, Enrico Chiesa. The following season, which saw many proclaim Parma as their title favourites, saw a disappointing sixth-place finish in Serie A and a group stage exit in the Champions League as Carlo Ancelotti was relieved of his duties. Crespo, however, added another 12 goals to his rising tally. The end of the season brought the 1998 World Cup with it, and Argentina had high hopes of getting to the final and winning the trophy after a disappointing set of performances in the United States four years earlier. Although some changes were forced between tournaments, Argentina largely relied on the likes of Batistuta, Diego Simeone and Ortega once again. Crespo was, unsurprisingly, called up for the finals by Daniel Passarella, the man who gave him his debut at River, but he barely touched the ball in France and when he did, trying to score against England in the penalty shootout, he fluffed his lines against David Seaman. Gabriel Batistuta’s efforts kept Argentina alive until they faced the Netherlands in a quarter-final match that ended their dreams – the Oranje scored the winning goal in the 89th minute courtesy of a legendary effort by Dennis Bergkamp. The summer of 1998 and his first appearance in a World Cup match seemed to fire all of Crespo’s pistons, and the following four years of his career started to sculpt him as a legend in Italy. Guided by Alberto Malesani, Ancelotti’s replacement, Parma reverted to past type in the shape of transfer business, this time adding two proven players in Juan Sebastián Verón and Alain Boghossian, both from Sampdoria, as well as Asprilla and Fuser, who also proved to be worth the money. For the next 12 months, the Gialloblu would compete in both national and Europeann competitions with qualified success, reaching three finals and winning them all while finishing fourth in Serie A. During this time, Crespo was the leading striker of the team, playing along Chiesa and netting 29 goals in just 46 matches. Parma enjoyed a stunning run in the Coppa Italia, facing Fiorentina in a double-legged final which saw both games end in draws. Luckily for Malesani’s side, Crespo’s performances edged those of Argentine rival Batistuta up front. He opened the scoring in the first leg with only 15 minutes played after a nervy error by Fiorentina’s Tomáš Řepka. Batistuta replied in the 80th minute after Crespo had just been substituted, forcing a 1-1 draw. For the second leg, both Argentines were determined to win the Coppa, and in Florence, under the lights of Stadio Artemio Franchi, Crespo, with an audacious backheeled effort, rose above everyone else to help Parma lift their second Italian cup. What really set the Crociati season apart was winning their second UEFA Cup in four years after they had defeated Juventus in 1995. It was a struggle at the beginning, with the Italian side forced to come back from a 1-0 defeat against Fenerbahçe in Turkey, in one of only two losses Parma would suffer during the competition. After that, it was all a ride full of impactful performances and results, which accounted for 25 goals and just 10 against. Of those goals, Crespo was responsible of six, the last of them being the one that opened the tournament’s final against Marseille in the 25th minute of the game. Two more goals, by Vanoli and Chiesa, sealed the deal for the Italians. Finally that year, in their third final, Parma faced Milan in the Supercoppa after the Rossoneri had conquered Serie A. Led by Oliver Bierhoff and a recently acquired Champions League killer in Andriy Shevchenko, Milan had the match marked as the first objective of its season in order to prolong their successes. Parma, on the other hand, had seen the departure of Juan Sebastián Verón, to huge fan disappointment, plus those of Chiesa and Néstor Sensini. 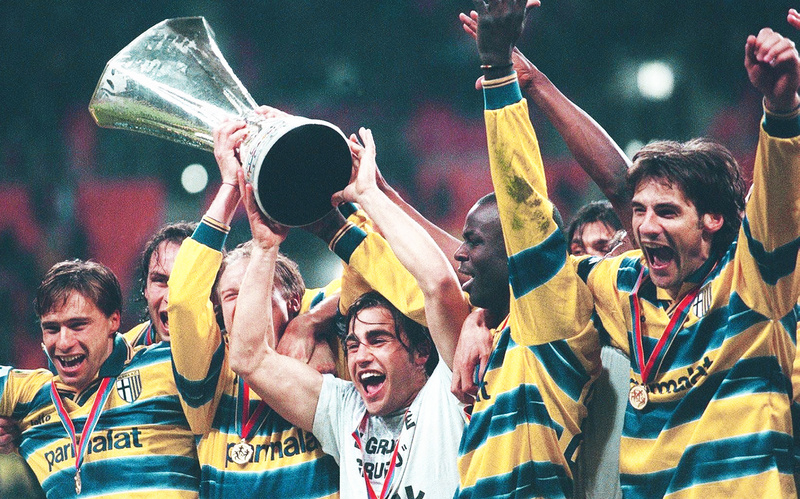 Despite big names leaving, the Gialloblu rose to the occasion and, with the help of Crespo and Boghossian, were able to nullify Milan and give Parma their first Supercoppa title. The rest of the campaign wasn’t as good for the reigning UEFA Cup, Coppa Italia and Supercoppa champions, who felt the loss of some of their star players. 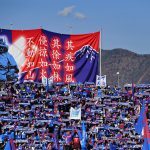 Although it was still too soon to predict from the outside, the club was about to suffer serious financial problems and the board’s attempts to fix them would eventually prove unsuccessful. What stood out in the Crociati’s inconsistent season was the tremendous form Crespo was able to put together, which felt like a race against fellow countryman Batistuta. Although both players were in the shadow of an impressive debut from Shevchenko in Serie A, who finished the season with 24 goals, they did enough to share the second place in the Cannonieri ranks, finishing the campaign with 22 goals each. Nevertheless, Fiorentina and Parma’s efforts were not enough to reach Serie A’s top table, which consisted of a battle between Lazio and Juventus that saw the former lift the second title in club’s history after edging the Bianconeri by just one point. It was around this time that both Batistuta and Crespo started to acknowledge the lack of league success they had witnessed during their time in Italy, and started to think about pursuing a transfer. Batigol was already 30 and his window was narrowing. Crespo was still just 24 but Parma were starting to sell their best players to salvage their financial woes. So, in the summer of 2000, both players moved. Like before, they seemed to follow the same path, only with Crespo walking it years after his national partner. It happened with their departures from Argentina, it was starting to occur in the Argentine national team amid a generational change, and Rome would make them live it all over again when Roma and Lazio decided to go after the striking pair. And go after them they did: Roma paid €32.5 million for the Avellaneda native, while Lazio broke the then-transfer record and set it at €55 million to sign Crespo. Fate again favoured Batistuta. Lazio started the millennium with a league title in the 1999-00 season, one before Crespo’s arrival, and Roma followed suit by winning the league in 2001, this time helping Batigol achieve his dream of becoming a Scudetto winner. Crespo was resigned to remaining in the shadow of his peer, even though the youngest of the two become the Capocannoniere after netting 26 goals in the league and tying Batistuta’s best return in 1994-95. In addition, Crespo added another Supercoppa to his trophy cabinet after Lazio triumphed over Internazionale 4-3 in a match where the Biancazzurri had to come back from an early goal by Robbie Keane. After a troubled season for Lazio, marked by the departure of Sven-Göran Eriksson after only 13 games in order to manage the English national team, things looked in place for a push in 2001-02 that would allow the team to claim back the Serie A title. To replace the departed Marcelo Salas, Pavel Nedvěd and Verón – all of them vital to the title push two years back – the Biancocelesti opted to bring in Gaizka Mendieta, Stefano Fiore and Jaap Stam for huge transfer fees and to fit the philosophy of manager Dino Zoff. Sadly, the former Azzurri legend lasted only three games before being fired and replaced by Alberto Zaccheroni. The problem for Lazio was less about their players and more about the rest of Serie A improving noticeably. Powerful teams such as Juventus and Milan bought players of the calibre of Buffon, Thuram, Pippo Inzaghi and Andrea Pirlo. Even Roma, the defending champions, were able to improve their lethal forward line of Francesco Totti, Vincenzo Montella and Batistuta with the signing of Antonio Cassano. After the summer moves and a slow start to the season, Lazio found themselves out of the Champions League and dropping regular Serie A points. Crespo, however, kept scoring at a solid rate, despite suffering from minor injuries during the season to finish with 13 goals. With Mendieta falling short of expectations, Stam suspended after failing a drugs test and Simeone recovering from a serious injury sustained in the prior campaign, all Lazio could do was influence a title race which didn’t include them. The Biancazzurri defeated Internazionale 4-2 in Rome, making Juventus champions once again. For Crespo, it felt like déjà vu as he evaluated his options in the desperate search for a league title. 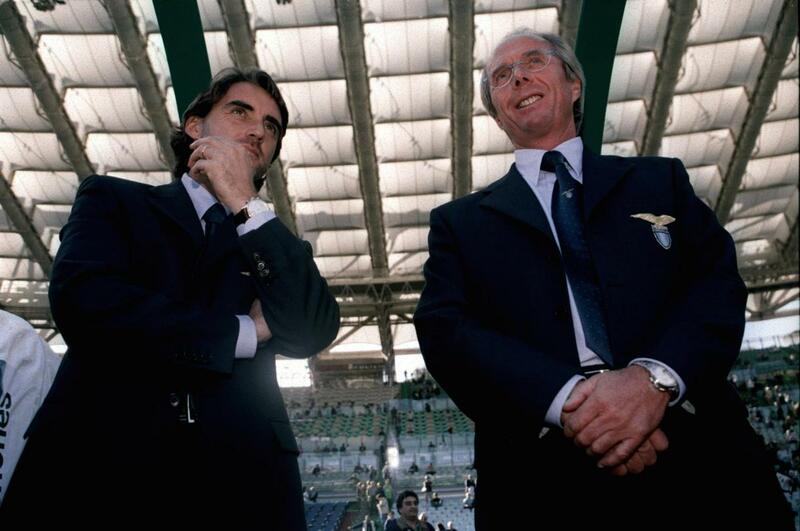 With financial woes starting to strangle Lazio’s president Sergio Cragnotti, Nedvěd and Verón had left at the start of the 2001-02 season in order to keep the ship afloat. Prior to the 2002-03 campaign, Alessandro Nesta would be the first name to depart, with Crespo soon following him. Everybody had been waiting for the end of the season, from Buenos Aires to Córdoba and Rosario to Mendoza. Argentina’s squad looked better than ever for the 2002 World Cup, to be played in South Korea and Japan. A mixture of seasoned veterans and young guns were fighting for a place in the starting line-up. Perhaps the trickiest decision was the one faced by Marcelo Bielsa concerning who to play as the lone striker. Batistuta, now 33, had moved from Fiorentina to Roma between the last World Cup and the one about to be played, scoring 86 goals in the meantime, but just six in the season leading up to the tournament, which signalled a clear drop in production. Crespo, on the other hand, had scored 102 in that time and was rightly regarded, at 26, as one of the game’s best strikers. Argentina reached the World Cup after putting together a string of superb performances during the qualifying matches, winning 13 of the 18 games played and only losing one to Brazil (due to Vampeta’s only two goals for the Canarinha during his international career). During those 18 games, Crespo was a more prominent figure than Batistuta, being selected in more games and scoring nine goals to Batigol’s five. Despite that, Bielsa would end up selecting the veteran as his striker, flanked by Ariel Ortega to his right and a rotating pair formed of Kily González and Claudio López to his left. La Albiceleste’s first game ended in a 1-0 win against Nigeria thanks to a Batistuta’s nearly impossible header in the 63rd minute. Crespo watched from the bench until he replaced his team-mate in the 81st minute. For the second game, the level stepped up and Argentina had to face England in an almost do-or-die match. Michael Owen was, once again, a nightmare for the South Americans, hitting the post minutes before being fouled inside the area, which led to the game’s only goal. In a deciding third match against Sweden, everything was up for grabs for both nations in a win-or-go-home situation. Even after Batistuta’s far-from-incredible performances in the past two matches, Bielsa opted for him again over Crespo. Batigol gave it all but couldn’t capitalise by scoring. Come the 57th minute, Argentina shuffled pieces and Crespo entered the fray. Leaving it was a living legend. Retirement had been discussed for a few months already, and Batistuta had mentioned it himself. There were still 40 minutes to go, and a knockout round waiting for Argentina, so it was too early to say that we had seen the last of Batistuta, but he would be leaving international football in a matter of minutes. Just over a hundred seconds after the striker’s departure, Sweden scored a tremendous free-kick. Down 1-0, and with their best goalscorer ever on the bench, Argentina’s hopes rested on Crespo’s shoulders. It was the 88th minute when Ortega caught a ball cleared just outside the box, faked a cross with his right foot, touched the ball with his left, launched a run towards the goal, and was taken down by Mattias Jonson in what the referee considered a penalty. The chance was there, but Ortega missed it. Luckily for La Albiceleste, they still had Crespo, who, like born of light and beam, was quick enough to get the rebound and put the ball in the back of the net. Seven minutes later, 11 men cried out of joy while other 11 cried out of misery. This time, Argentina were on the floor, feeling the hard truth of reality after crashing head-first against it. Crespo couldn’t even articulate a word and declined to talk to the press after the game. The supposed rivalry between both players had come to an end – or so it seemed – at least on the international stage. After a stunning set of performances in the World Cup, along the way killing past ghosts, Ronaldo was set to sign with Real Madrid in the summer of 2002. Despite efforts by Internazionale to retain him, he made it clear that he wanted to join the likes of Zinedine Zidane and Luís Figo in the Spanish capital. Leaving a gap to fill in the Nerazzurri forward line, the Milan-based team had already made an offer to cover the position and put someone with enough quality next to their other banner player, Christian Vieri. Crespo was the chosen one to help the team win the Serie A title again. An already stacked Juventus, who had won the league in the 2001-02 season, looked like the team to beat. Crespo started regularly alongside Vieri in Héctor Cúper’s line-up but scored only three goals in his first 13 games. It was in that last one, the 13th against Modena, that Crespo suffered an injury that would see him miss the next three months. With a glaring lack of strikers in the squad due to multiple injuries, Inter needed to act quickly in January’s transfer window. The solution? Bringing a not-so-productive Batistuta on a loan. It was hard to believe at the time but the story repeated itself: Crespo and Batigol were destined to meet again. Now, Batistuta was the one taking Crespo’s place, and the absence of the young star could have put his position, and reputation, in danger if the elder statesman was able to find his old self in Milan. Although he featured as a starter in all Serie A matches but two during his time at the Nerazzurri, Batistuta only scored two times and, on the same day that Crespo returned to the field, his story in Milan ended for good. So did Inter’s season, only a few weeks later, as they couldn’t make it past the Champions League semi-finals and succumbed to Juventus in a league run that ended with the Beneamata finishing second, seven points adrift. Unconvinced by Crespo’s return of 16 goals in 30 matches, Inter president Massimo Moratti opted to sell him just one summer after signing him. 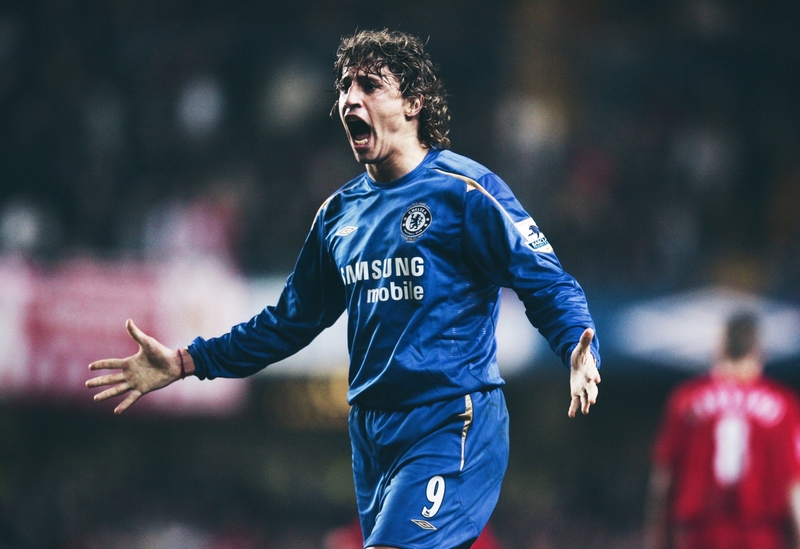 Finally, after nine years of being in the shadow of his predecessor, Crespo was alone and left to shine on his own. No more discussion; no more media bringing alleged rivalries and bad blooded competition; no more doubts or debates. Batistuta went on to peacefully retire from football in Qatar, while Crespo kept playing at the top level of European football. Divergence appeared for the first time in the path of the two Argentines and, for differing reasons, it was much-needed for both. The most important stretch of Crespo’s career, in terms of titles and professional achievements, came after he left Inter for Premier League. Amid financial crisis, Chelsea’s owner at the time, Ken Bates, found a buyer for the club. He was Russian, and as Claudio Ranieri later came to say, had no limits on how much money he was willing to spend in order to put Chelsea not only at the top of English football but the wider European game. His name was Roman Abramovich, and one of the marquee signings in his first year was Hernán Crespo. Under Ranieri, and facing the competition of Jimmy Floyd Hasselbaink and Adrian Mutu, Crespo played a total of 31 games and scored 12 goals. His efforts, however, were in vain as Chelsea finished second to an Arsenal team that went undefeated for the season. On the bright side, a semi-final exit in the Champions League left the door open for future hope. Chelsea’s chairman, though, opted to fire Ranieri and bring in José Mourinho in what he thought was the final move in order to take the vaunted step towards a title. Although the move paid off, the news was not the best for Crespo, who had ensured a tough time settling in his new country during his only year there and was doubtful about his future. It was well known that Hernán missed Italy during his time in England. As he was unleashed back in calcio, he would be reunited with Carlo Ancelotti, the man who brought him to Europe in the first place and kept the faith on him even in the lowest moments. With one of the strongest squads in Europe, AC Milan were poised for a big campaign. By the final stretch of the season, they found themselves fighting against Juventus for the Scudetto – a title they eventually lost by seven points – and in the Champions League final against Liverpool. Despite one of the darkest losses in Milan history, Crespo’s displays in northern Italy seemed to convince Mourinho of his value and he kept him in his squad at Chelsea for the 2005-06 season. As with the Rossoneri one year earlier, Crespo added another trophy to his cabinet in the shape of the Community Shield to start the season back in England. Things, however, would pan out in similar fashion to his first year in England despite his personal form improving slightly. A long season, capped with his first league title in Europe, was not enough to convince him to stay, although Mourinho was determined to retain him unless a proper offer was presented. It was Inter who, fulfilling the wishes of Crespo, reached an agreement with Chelsea to take the player on a two-year loan which eventually saw him sign for free in 2008. The aim was clear: forget the ghosts of the past and take the chance that injuries took from him years ago to give Inter Milan what they were looking for when they signed him from Lazio. The words of Crespo prior to the start of the biggest competition of all left no doubt in anybody’s mind. With Batistuta long gone, it was his time to shine, and even with the emergence of growing stars like Javier Saviola, Lionel Messi and Carlos Tevez demanding attention, he had it clear in his head that this would be his World Cup. When the 2006 tournament finally arrived, Crespo found himself in a situation quite similar to that of Batistuta four years earlier. After a glaring set of performances during the qualifying stages that saw him become the top goalscorer for Argentina in the history of South America’s qualifying tournament, Crespo was determined to bring the title home. “The Argentine people can rest easy. We have what it takes to play a major role,” he said, totally convinced of their chances. A relatively easy draw put Argentina in Group C along the Ivory Coast, Serbia and the Netherlands. A magnificent performance by Juan Román Riquelme, with assists for Crespo and Saviola, helped Argentina win their opening game against Drogba’s Ivory Coast by 2-1 in the reunion between the African player and former Chelsea team-mate, Crespo. For the second game of the group stage, the Argentines faced a Serbia team which succumbed to the South Americans’ expertise, losing by a massive 6-0, with another goal by Crespo paired with an assist. The final game, against the Netherlands, was a hotly contested affair, but neither team was able to trouble the scoreboard. A 0-0 draw was enough for both to advance. The round of 16 would see a Hispanic clash between Argentina and Mexico, which turned into a 120-minute thriller. Led by Rafa Márquez from the back, the Mexicans took the lead after six minutes thanks to their own Káiser de Michoacán. Four minutes later, Riquelme had the chance to deliver a corner kick with Crespo dancing in area, waiting for the cross. After dribbling around the Mexican defence, he went running for the flying ball and caught it with the tip of his right boot to put it in the back of the net. It wasn’t until the 98th minute, in extra-time, that Argentina scored the goal that would put them in the quarter-finals against Germany, courtesy of a Maxi Rodríguez stunner. Only three games separated Argentina from their ultimate goal, but Germany would be an enormous challenge. The hosts not only had home advantage, but they also presented a squad full of talent in all lines of the field. As opposed to what happened in the game against Mexico, fans had to wait for the second half to see the ball go in. Argentina, as if they were replicating what they did to the Aztecas, again found luck after a Riquelme corner, this time headed in by Roberto Ayala. Germany, however, rose to the occasion and were able to tie the game with just 1o minutes to go thanks to a Miroslav Klose header. With neither team able to assert their advantage in 120 minutes, Argentina would eventually succumb – like so many before them – to Germany in a penalty shootout. Now 31, Crespo’s days playing for the national team appeared to be numbered after the Albiceleste fiasco. His age meant that another World Cup was unlikely, but he was sure that a good season in Italy would allow him to represent his country at the 2007 Copa América. Indeed, it was enough as he was selected by Alfio Basile as part of the 22-man roster for the tournament. Little did he know but he would say goodbye to his beloved Argentina sooner rather than later; two games was all he would get before injuries started to take their toll. Hernán was able to score twice against USA in the first game of the tournament, while adding another goal to his account in the second match against Colombia. Like always – because some things never change – his name was second on the Argentina top scorers list; just behind his old rival, Batistuta. Crespo suffered a muscle strain just after converting the penalty that took him above Maradona, resulting in an immediate substitution. He was never called back to represent his nation and, just like that, the international career of one of the greatest Argentine players was done for good. During his three years with the Nerazzurri in his second spell with the Milan club, Crespo bloated his honours list like he had never done before, most notably winning three Serie A titles from 2007 to 2009. Add another Supercoppa to the account and you have Crespo’s full trophy cabinet. Arriving at 31, he still managed to feature in most of Inter’s matches during his first campaign back, seeing the count drop during the two following years, as well as his goalscoring form (from 20 in the first season to seven and two in the second and third). In his final season at the club, under José Mourinho, he was even left out of a Champions League squad that ended up lifting the trophy months later, which would have closed Crespo’s circle of winning almost all major club titles during his career. With his contract expired and no club to play for, Crespo wanted to keep in contact with the ball that gave him the life he loved, so he found a new home in Genoa. He was determined to make Argentina’s 2010 World Cup squad, and he didn’t lose a minute in trying to catch up with his new team as soon as possible, with just one season left to play before the arrival of the South African event. “The move to Genoa offers me the chance of being able to reach a fourth World Cup.” The determination, no doubt about it, was there. His season at the Rossoblu, though, wasn’t quite as good as he anticipated. He scored seven goals in 21 games before being sent to Parma in January, where he could only add one more to his tally in the 13 games he played for the Crociati. A widely-expected snub from Argentina’s World Cup squad soon followed to his major disappointment. Unlike Batistuta, Crespo’s reputation wasn’t enough to see him selected. He spent the last years of his career back at Parma, the club which set him on the path to greatness. He was able to extend his career for two more seasons at the Gialloblu, enjoying his time there, and most of all scoring goals as he had been doing for almost 20 years. Having spent six of those 20 years at Parma, he was able to leave a place which he ended up calling “his city” as the club’s top goalscorer of all time, notching 94 goals in 201 appearances. Hernán Crespo never asked for more than life could offer him. He was a humble man from start to finish. 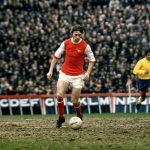 No rivalries affected or changed his style of play, his attitude or his behaviour. He accepted his role, embraced it, fought to improve and finally got the recognition he deserved, although he name is often omitted when the greatest strikers of the last 20 years are discussed. 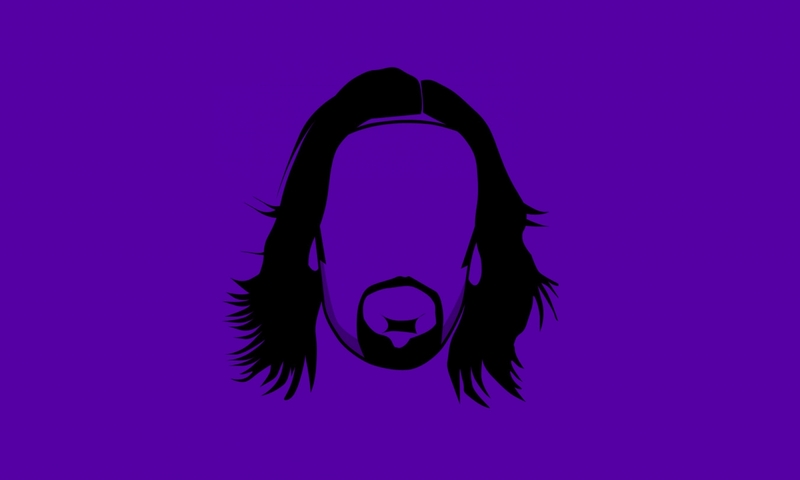 He may have come after Batistuta, but he was a more than respectable heir.